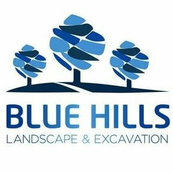 We hired Leigh from Blue Hills Landscapes to help us with hard landscaping a flat entertaining area on our elevated sloping site. What a lovely review. Thanks so much. It was a pleasure creating such a beautiful space for you. We Cannot be happier with these guys, they were Professional, quick and experienced. I Would definitely recommend if you want a job done well.